Please take your time and have a look at what some of our learner drivers have to say about our driving instructors in Liverpool. 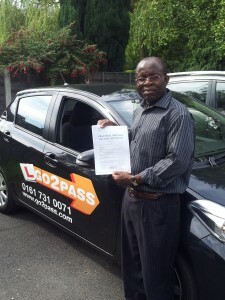 Our driving instructors are professional, friendly and provide enjoyable driving lessons. Our driving instructors will provide you with professional and enjoyable driving lessons no matter where you live in Liverpool. 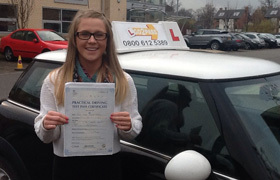 “After a very slow and uncomfortable start at my lessons with another driving instructor I decided to change and came across Harriet. She gave me the boost in confidence that was needed to become a more competent and much better driver. From the very first lesson the difference between her and my previous driving instructor, I saw driving in a different light. This was most certainly due to Harriet’s calm and professional teaching method, she instantly put me at ease and was comfortable with her. She understands that everyone makes mistakes, although the mistakes I made in driving were discussed and learnt from, they are then put aside so that they didn’t hang over me for the rest of the lesson and effect my learning. 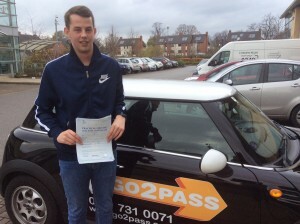 My driving lessons were very well structured and consisted of different aspects of driving such as: manoeuvres, general driving skills and driving test routes. These short bursts resulted in interesting yet challenging sessions and kept me interested instead of daunting or feeling bored.. In my first few lessons I was able to tackle a variety of scenarios which I never came across with my old driving instructor. in each lesson all aspects of driving was fully explained, the use of diagrams, observations and ultimately hands-on experience helped be greatly. Clare , Mossley Hill, Liverpool. 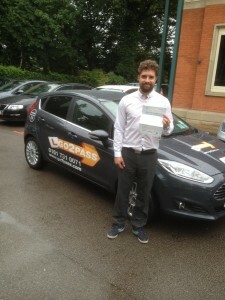 “I started taking refresher driving lessons with Harriet when my wife was pregnant . I was extremely nervous at the start as I had not driven since passing my test which was around18 years ago in a quiet rural location so was not used to the busy town driving, Harriet immediately put me at ease with her professional and friendly manner. The contrast between my first set of driving lessons and Harriet’s was huge. 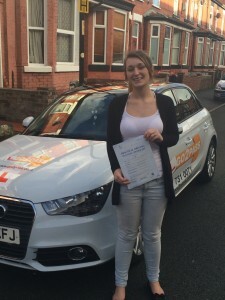 She ensured that each driving lesson was tailored to me, pushing me just enough to re -develop my driving skills and increase my confidence, the lessons were not only helpful they were an enjoyable experience too. She also ensured that every single driving lesson was different, she introduced me to a variety of different driving conditions that included independent driving, night and motorway driving. 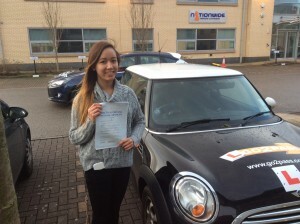 Harriet’s passion for teaching and driving was really infectious which meant that I actually looked forward to my lessons and even though I made plenty of mistakes her calm, patient manner meant that I was always able to learn from my mistakes without affecting my confidence at all. Even though I dissevered it at times she never showed any signs of frustration throughout my driving lessons! 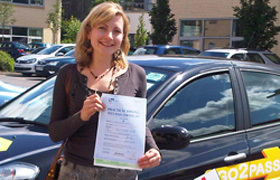 As a result of her teaching I now feel I am so much much safer and an assertive driver who respects other road users. 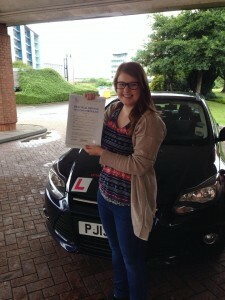 “Hi, I’m Maddie and i would like to say thanks to my driving instructor Phill for all his help and for being a great teacher, he was ever so patient and helped me pass my driving test on my first attempt, I would have no hesitaion in reccomending him or the driving school to anyone wanting stress free driving lessons, my sister has just signed uo to driving lessons as well and enjoying them too. Thanks once again for all your help”. 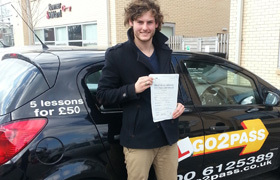 ” I want to say thanks for being the best instructor in the world, you taught be with patience and professionalism all the time, even when i went into my tantrums you remained calm with me and carried on teaching me without it effecting my driving session, I would recommend you to any learner driver and know that with you they will be taught really well. 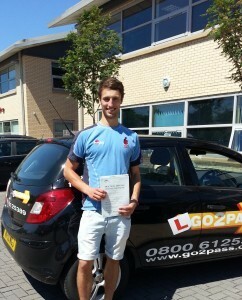 Thanks so much for all the help and helping me pass my driving test today”.